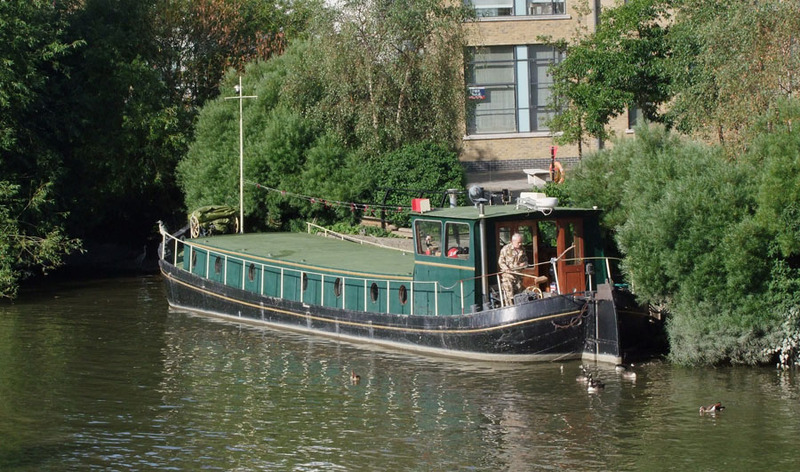 We have secure, safe moorings available to rent in a very pleasant location on the Thames, overlooking the Brentford Aits and Kew Gardens. These are new facilities in an attractive setting, with restaurants, cafes and shops all within easy reach. The area benefits from excellent transport connections into central London, and is only 5 minutes from the M4. We generally cater for Dutch Barges, Narrow Boats, Wide Beams, and similar steel hulled vessels from 15m up to 40m in length, with a minimum mooring rental agreement of 12 months. We provide full services, i.e. fresh water, electricity, sewerage connection, telecoms, and undercover car parking. We have three different mooring schemes in the same location, as shown on the Brentford moorings plan and these are; Soaphouse Creek (shaded blue), The River Brent (shaded green) and Lots Ait (shaded pink) the private island opposite the Royal Palace of Kew. Please click on buttons above to see more details of each individual scheme. If you wish to apply for a mooring with us, please complete the web application form. Please see the location plan for your ease of reference. We have some moorings that may shortly be available with long term security of tenure, either freehold or long leasehold, please enquire.